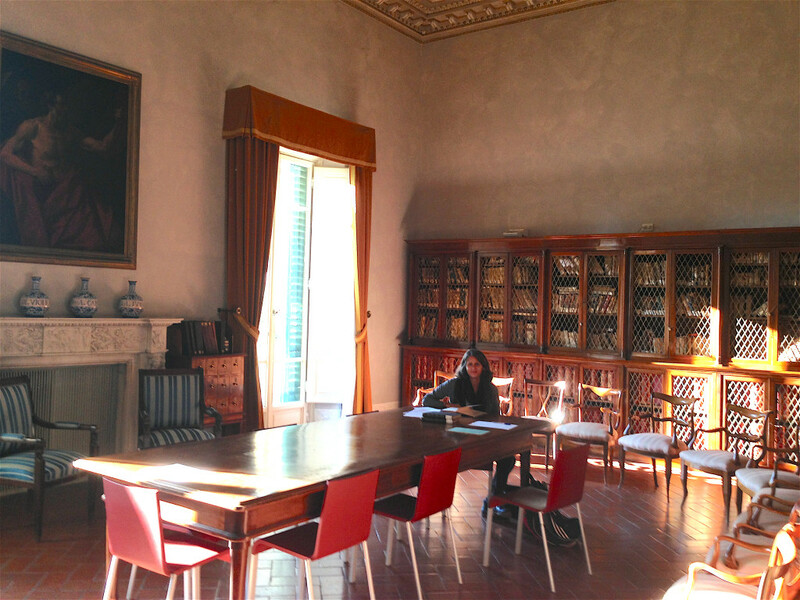 This year, thanks to the GSAS Research Fellowship, I’ve had the opportunity to visit archives and libraries in Italy and America. My dissertation incorporates a wide range of different sources from literature, to film, to court cases, to newspapers, to the records of military and civil rights organizations. This material comes from smaller—and, sometimes, hard to reach!—archives like the Archivio Diaristico Nazionale in Pieve Santo Stefano to archives like the Istituto Parri in Bologna and the Archivio INSMLI in Milan (where one of the perks was espresso breaks with the archivists) to larger ones such as the Archivio Centrale dello Stato in Rome and the National Archives and Records Administration in College Park, Maryland. Along the way, I’ve found essential material at places that weren’t originally on my research agenda, such as the Library of Congress and the Archivio di Stato di Livorno and the Biblioteca Comunale Labronica Francesco Domenico Guerrazzi, also in Livorno. At the library of Congress, the records of the NAACP, which provided legal aid to soldiers convicted of a wide variety of crimes during World War II, have been of great use. Research in Livorno has also proved unexpectedly fruitful. Livorno was an important operational center for the American military in World War II. Nearby was Tombolo, the pine forest between Livorno and Pisa close to where the Allied warehouses were housed, which became infamous for all sorts of illicit activities—from prostitution to the black market— involving African American soldiers and Italian civilians. In addition to the time I’ve spent researching, I am also truly grateful for the Research Fellowship for the time I’ve been able to spend processing all this information and writing!